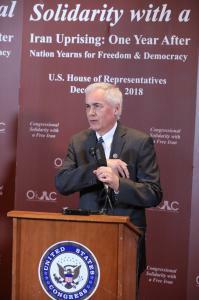 WASHINGTON, DC, USA, December 13, 2018 /EINPresswire.com/ -- Bipartisan members of congress joined Iranian Americans from 40 states at a Congressional event to express support for protesters in Iran, announce bipartisan congressional initiative H.Res.1034, and highlight Iranian regime’s malign international role. 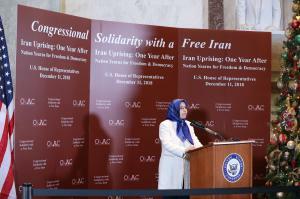 Ms. Soona Samsami, the representative in the United States for Iran’s Parliament-in-exile, the National Council of Resistance of Iran (NCRI) also addressed the gathering. 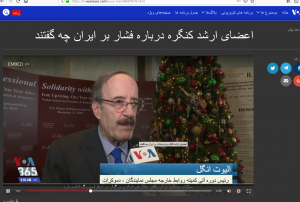 She highlighted the organized nature of the ongoing protests in Iran and quoted regime’s officials, including the following: "The decisive factor in the persistence and expansion of the protests is the organization of the rioters. They have created organized cells called the Units of Rebellion, which have both the capacity to increase in numbers and also replace leaders on the scene."